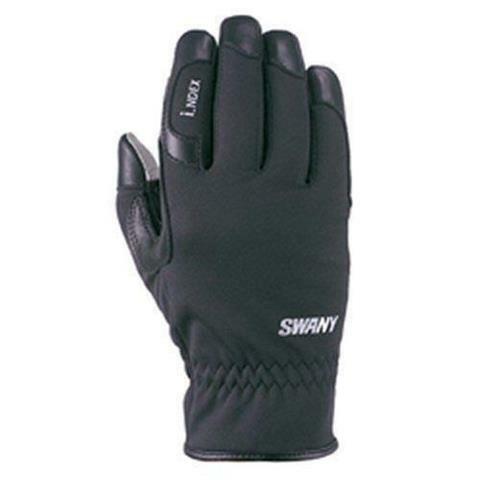 Swany I-Finger Gloves are the touchscreen device compatible winter gloves that you are looking for! No more freezing your hands with these tech-friendly glove liners! Just slip off your outer glove and use the index or thumb pads to operate your mobile device, or wear the gloves around town for warm hands and no-fuss handling of your calls, texts, or tunes. These winter glove liners are made with exclusive leather trim plus Swany Soft shell for added stretch.